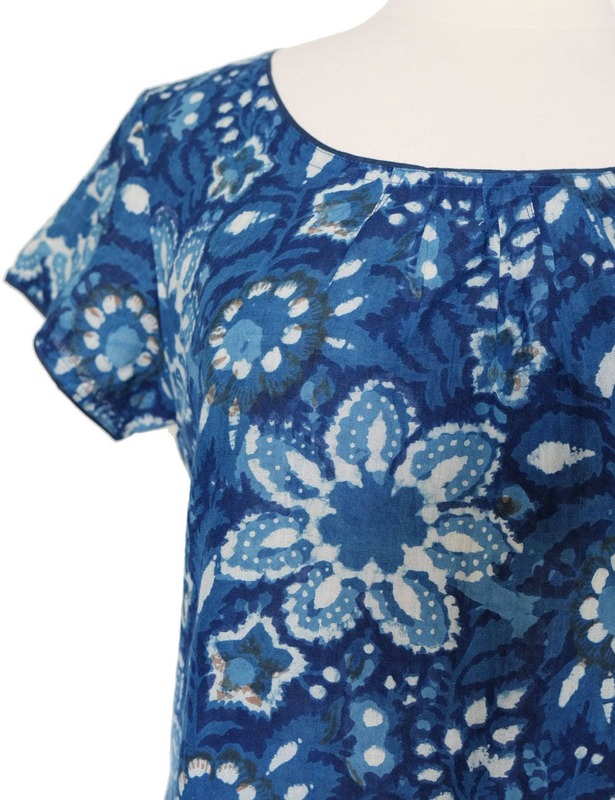 Light and breezy summer blouse. 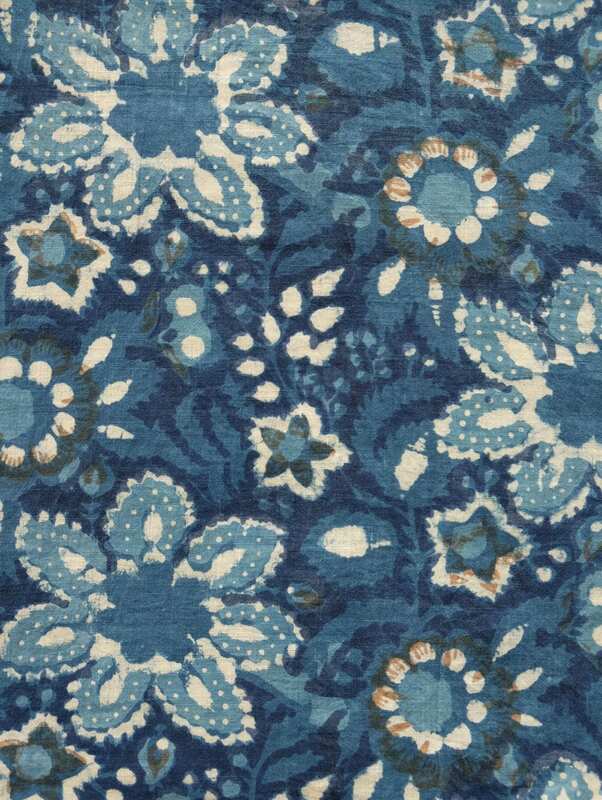 Hand block printed and resist dyed with Indigo in a floral print, made of 100% lightweight cotton. 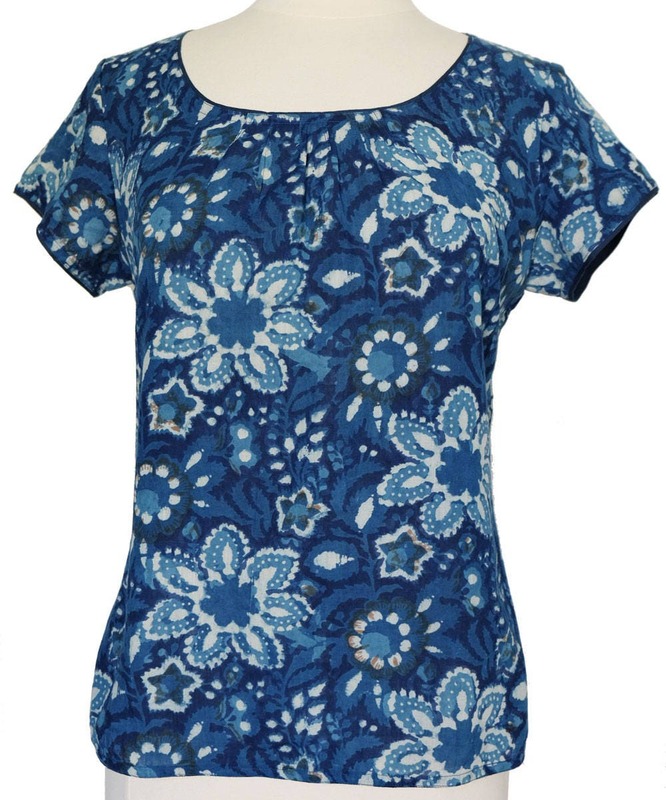 The blouse has a scoop neck that is lightly gathered at the front with piping around the neck and sleeves. 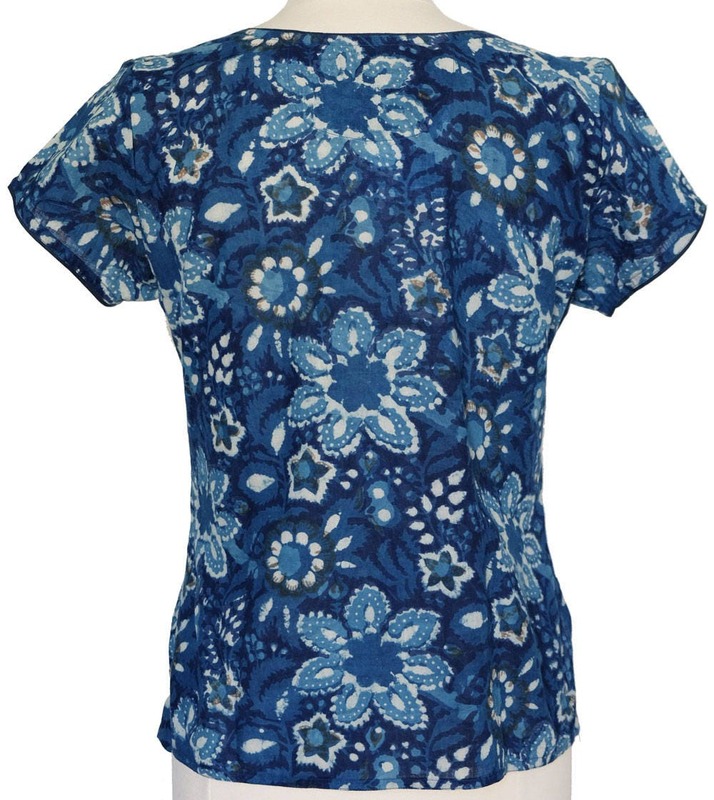 The blouse is 23” long with 3” side splits.